Time to see how much riding is going on in your county. Babies are a blessing and if you happen to be living in Longford, you're more likely to be hearing the patter of tiny feet and those high-pitched screams than in any other county in Ireland. Why? Well, the O'Farrell County has the highest fertility rate in all of Ireland. The CSO has released new information on fertility rates in Ireland and during the period between 2011 and 2016, the total period fertility rate in the country has dropped from 2.02 to 1.81 (the figure represents the average number of children who would be born per woman they were to pass through the childbearing years bearing children according to a current schedule of age-specific fertility rates, explained in more detail here). 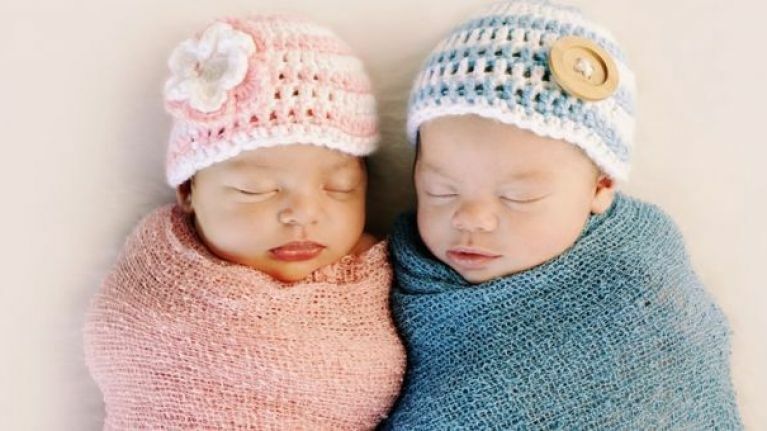 However, the highest fertility rate recorded in 2016 was found in Longford (2.25). Elsewhere, Cavan and Waterford County were in second place with 2.21. It's not exactly a surprise to learn that the four lowest fertility rates in 2016 were all recorded in city areas - Dublin City (1.46), Cork City (1.50), Galway City (1.60) and Waterford City (1.61). 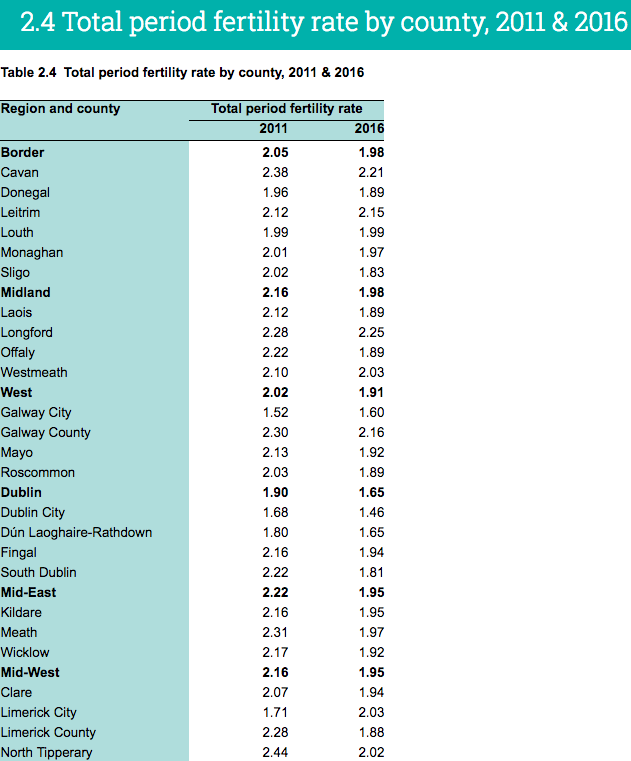 On the other end of the spectrum, fertility rates in two regions (Dublin and the South-West) were below the national average of 1.81 in 2016, while all other regions were above the national average. All the other counties in Ireland in 2016 had fertility rates above the national average.